With more X-ray photons available, the ZEISS Xradia 600-series Versa provides faster time to results for the widest range of sample sizes and types, without compromising resolution. 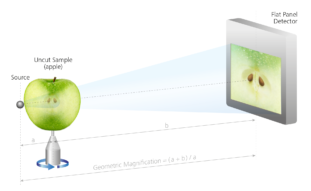 The two biggest challenges in X-ray computed tomography are maintaining resolution on large sample sizes and with long working distances while simultaneously maximizing resolution and X-ray flux for greater throughput. Both instruments address these challenges: They provide a high-power X-ray source for significantly higher X-ray flux. This leads to faster tomography scans and therefore up to two times higher throughput—without compromising spatial resolution. At the same time, the X-ray source stability and lifetime is enhanced. ZEISS XRM two-stage magnification architecture. By leveraging RaaD capability, ZEISS Xradia Versa maintains the highest resolution across large working distances, accommodating samples contained within environmental chambers and high precision in situ load rigs. This enables material science researchers to non-destructively characterize the 3D microstructure of materials in controlled environments to understand the impact of different factors such as heating or compression. Small pouch cell: 0.4x overview scan; 4x Resolution at a Distance; 20x Resolution at a Distance. With the global explosion of energy materials demand, industrial researchers need insights into their complex multi-physics behavior within multiple solid and fluid phases and their related structural evolution. ZEISS Xradia 600-series Versa provide insights into the morphology of these structures and their behavior under operating conditions. RaaD technology of these X-ray microscopes allows intact pouch and cylindrical cells to be imaged at high resolution – enabling longitudinal studies of aging effects, across hundreds of charge cycles. 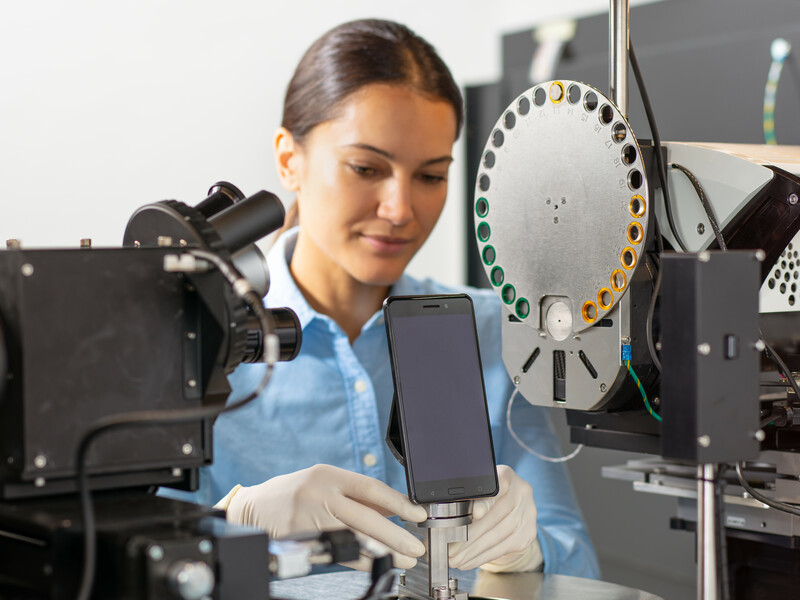 With the new ZEISS Xradia 600-series Versa, users can even analyze an intact unprepared smartphone to perform structural and failure analysis. In electronics and semiconductor industries, users typically perform structural and failure analysis (FA) for process development, yield improvement and construction analysis of advanced semiconductor packages. 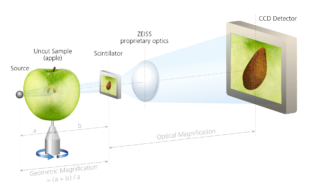 ZEISS Xradia 600-series Versa enables non-destructive imaging to visualize defects associated with package-level failures, such as cracks in bumps or microbumps, solder wetting problems or voids in through silicon vias (TSV). The 3D visualization of defects prior to physical failure analysis (PFA) reduces artifacts and guides cross-section orientations, leading to improved FA success rates. In the additive manufacturing industry, 3D X-ray microscopes are proving to be critical across several process steps all the way from powder to part. Typical applications include studying detailed shape, size, and volume distribution of particles in powder beds to determine appropriate process parameters. The higher throughput of the ZEISS Xradia 600-series Versa provides the required performance capabilities and supports the time-to-results demands in performing these studies and enabling efficient workflows. In the raw materials industry, users perform multiscale pore structural analysis, including directly measuring in situ fluid flow. 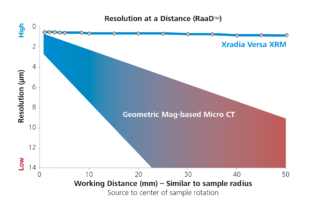 The new ZEISS Xradia Versa X-ray microscopes provide the most accurate 3D nanoscale support for digital rock simulations, laboratory-based diffraction contrast tomography, and multiscale imaging at faster run times reducing the bottleneck for pre- and post-studies. In life sciences, the ZEISS Xradia 600-series Versa enables faster and higher resolution imaging allowing researchers to study soft tissue such as neural tissue, vascular networks, cellular structures, ligaments, nerves; mineralized tissue such as bones; and plant structures such as roots, cellular structures. ZEISS X-ray microscopes are designed to be upgradeable and extendible with future innovations and developments to protect our customer’s investment. This ensures the microscope capabilities evolve with the advancements in leading edge technology. From ZEISS Xradia Context microCT, to ZEISS Xradia 500/510/520 Versa, and now with the addition of ZEISS Xradia 610/620 Versa, users can field-convert their systems to the latest X‑ray microscopes. I was wondering what types of materials can be viewed with X Ray Microscope. Can a dense metallic sample be viewed. We look at Platinum samples now but have to cross section them. Could these samples be viewed on a X Ray microscope? 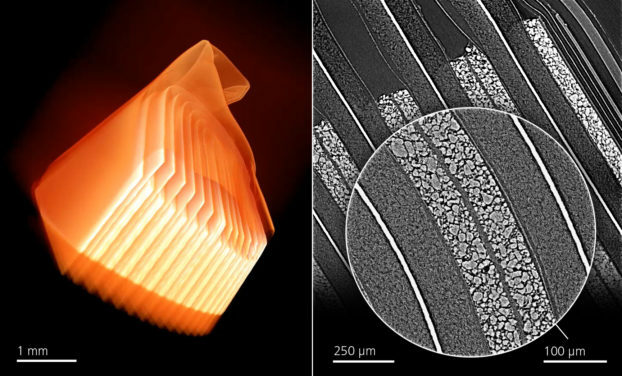 Yes, X-ray microscopes can look at dense samples including metals. The density of the material will place some boundaries on the size of the sample you can examine (since you need to have some partial transmission of X-rays), but small samples of platinum are definitely possible. What types of features do you wish to see?